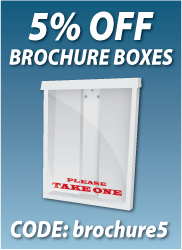 Choose from 100's of templates to customize your own parking or novelty sign. Have your own idea? Design from scratch using our easy online designer. Printed on sturdy .040 aluminum using UV inks that are safe for the environment. Upgrade to "Reflective" for night-time use. 18"x12" parking signs are 18" from top to bottom and 12" from side to side. This is the standard size for most handicap, no parking, security and tow away signs. The signs come pre-drilled to easily attach to a pole or fence.